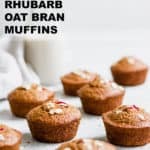 These rhubarb oat bran muffins are the BEST healthy muffins! 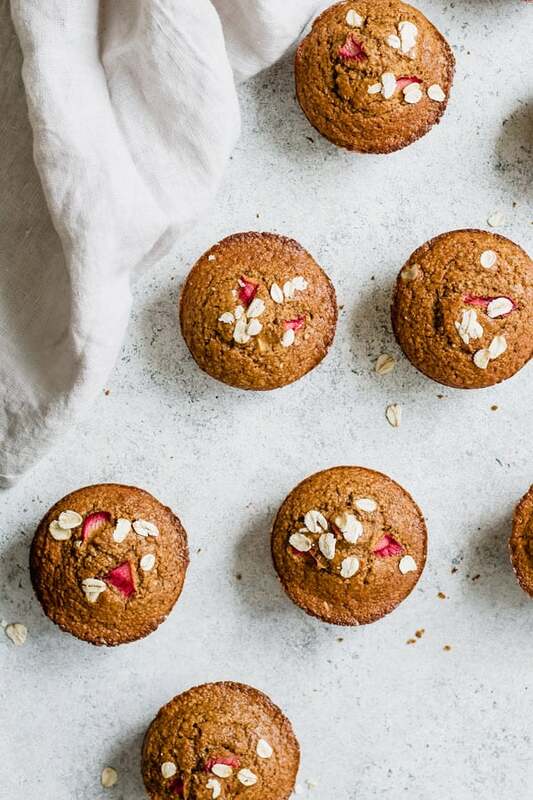 They’re made with oat bran and whole-grain flour and loaded with tangy rhubarb. 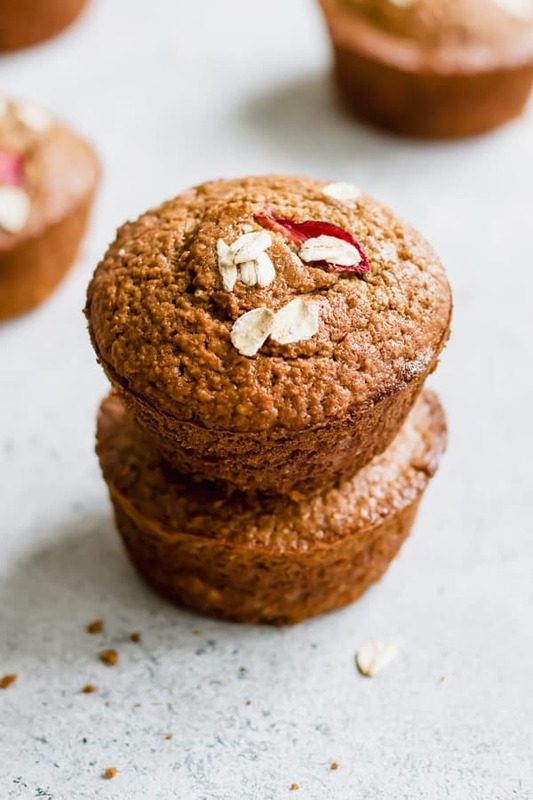 You’ll love these muffins for a healthy breakfast or snack! I took my weekly trip to the local farmer’s market and it finally happened…LOCAL RHUBARB. I’m been waiting for this moment for about a month, since “rhubarb season” started, though here in Montreal, the season starts a bit later. But finally, the time has come! Giant stalks of rhubarb are now readily available, and ready to be baked into all sorts of delicious recipes! As soon as I bought the rhubarb home, I immediately started testing out some recipes in the kitchen. I made some rhubarb compote, (Which I just love to enjoy on yogurts and chia puddings) strawberry rhubarb puff pastry tarts, and a strawberry rhubarb crisp for dessert the other night. 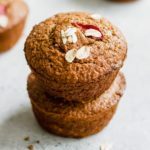 One thing I love about these rhubarb oat bran muffins is they’re perfect for taking on the go. 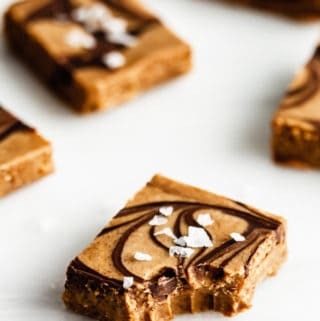 You can pack them up for breakfast, road trips and picnics. They’re also great to serve up if you’re having guests over for brunch, and can easily be prepared ahead of time. You can also substitute wheat bran for oat bran if you prefer in this recipe, but don’t switch out the oat bran for rolled oats! They’re not the same thing! Oat bran is just the bran of the oat, not the whole oat. It’s what gives these muffins their delicious flavour! 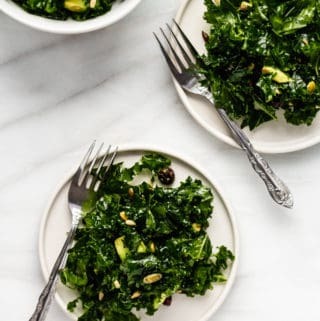 I haven’t tried replacing the egg in this recipe to make it vegan, but I think I’ll test out using a flax egg next time I make them and see how they turn out! If you try this and have success with it definitely let me know in the comments below. Or if you’re looking for a vegan muffin recipe right now make sure to check out my vegan apple crumb muffins. 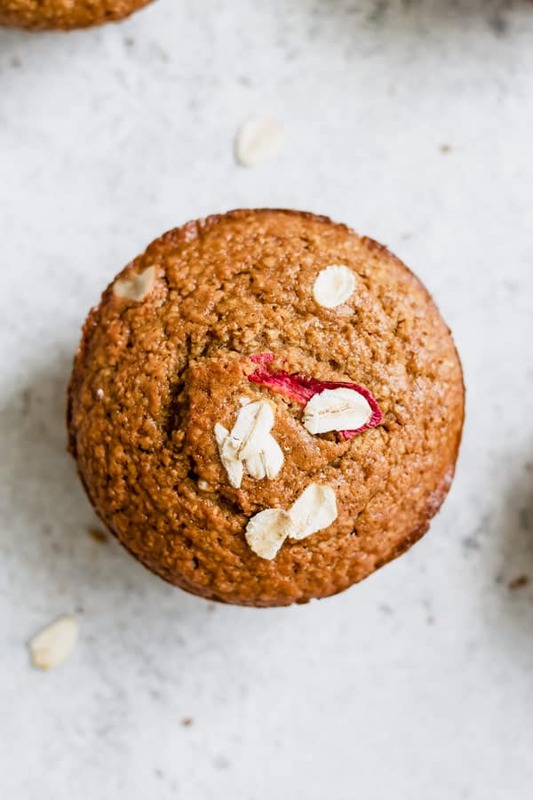 You can also mix in some chopped up strawberries into these muffins if you’re looking to make them into strawberry rhubarb muffins, which would be delicious! 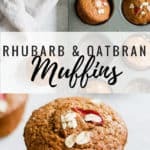 These rhubarb oat bran muffins are the perfect treat for breakfast! Mix the oat bran, flour, coconut sugar, baking powder, baking soda, salt and cinnamon together in a bowl. Mix the egg, molasses, oil, vanilla and almond milk mixture together in another bowl. Spray a muffin tin with cooking spray, or line with muffins tins and make for 15-17 minutes. The batter will be a bit runny. This is normal. 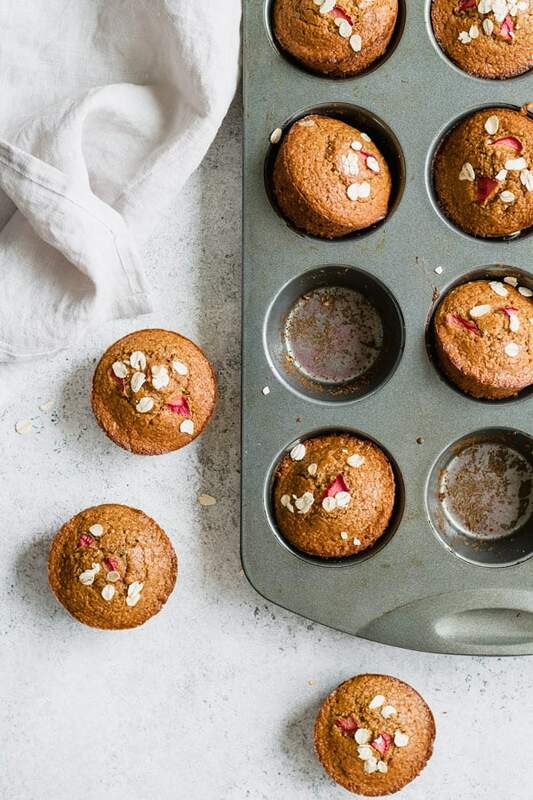 Try mixing in raisins, walnuts or any of your favourite berries into these muffins! Good Lord, these are delicious. I’m eating one *right* now and there may not be any left by the time my husband gets home… well, maybe I’ll leave him one. 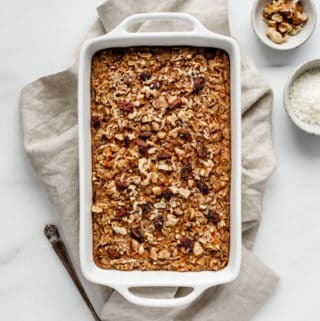 One question: you used rolled oats as a topping… is that just a sprinkle on top or are there actually oats IN the recipe? Just made these! Came out great! Thx for the recipe! Next time will add some fruit as you had suggested as an addition! 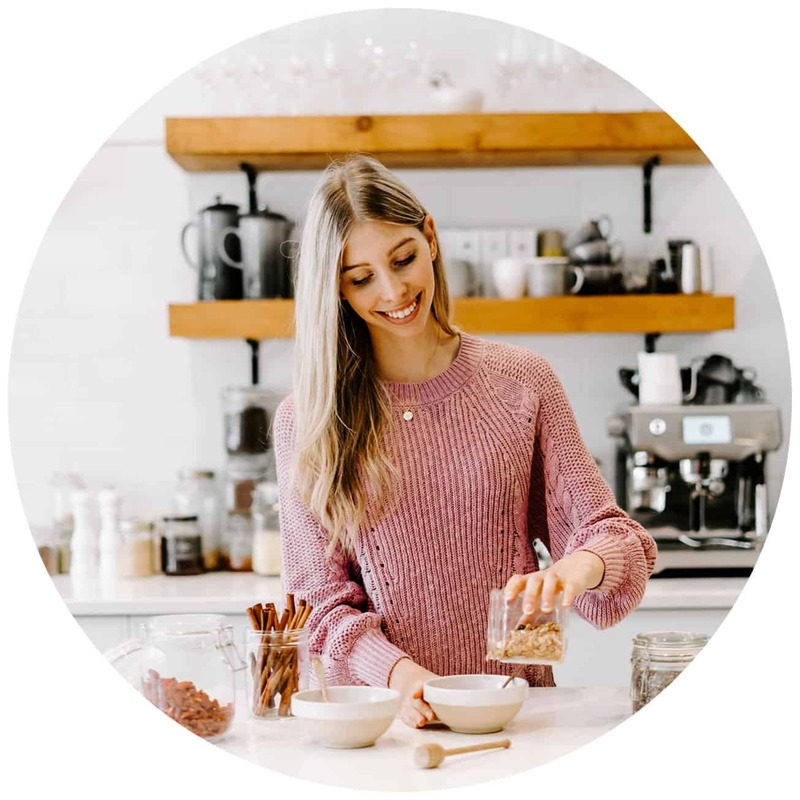 Hi Christie, so happy you like the recipe! 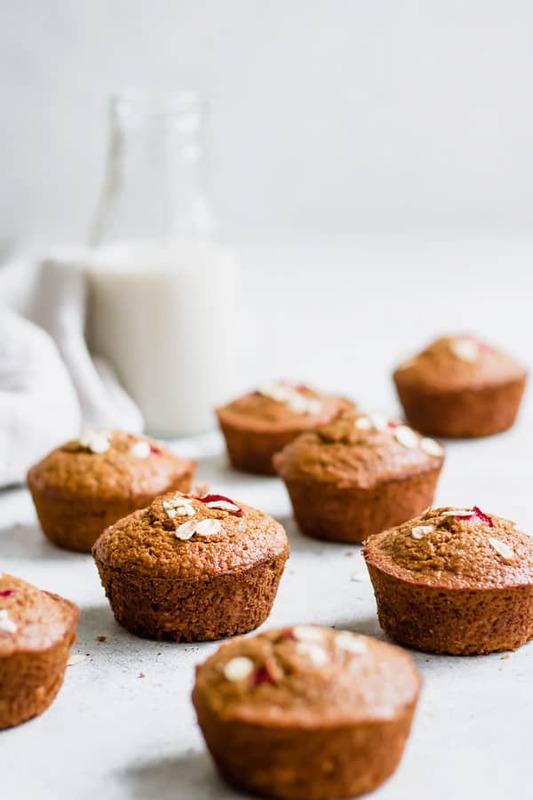 These are one of my favourite muffins to use as a “base” and then switch up the ingredients that go in! I’m thinking of trying them with peaches for the summertime! Thank you! Hope you enjoyed the recipe!